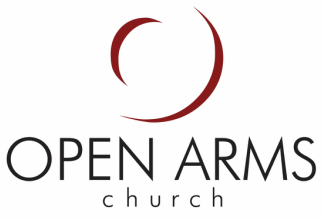 When you come to a weekend service at Open Arms you'll find it to be a friendly place. You can dress casual and plan to be with us just under an hour and a half. Come early and enjoy complimentary fresh brewed coffee available in our cafe'. If you have infants or toddlers, we have a fully staffed nursery where you can check your little ones before entering the worship center. Parents will receive a numbered card that will give them peace of mind during the service. If their little one needs assistance, the number will appear at the front of the worship center via a digitally displayed box. As you enter the building, children from age 4/5 through 5th grade are escorted by their parents to the "Kids Church" rooms in the clearly marked education wing for an exciting, age relevant teaching, craft, and musical experience where the love of God is taught and displayed. At any time during the service, nursing moms are welcome to use a private one-way mirrored room in the back of the worship center, accessed via the education wing across from the nursery to meet the needs of their infants while not missing a moment of the worship service. After you receive a program from one of our greeters and find a seat, the service begins with a short set of upbeat contemporary music. After one of our pastors welcomes everyone and prays, there is a short time of transition as we greet one another with a hi or a handshake to someone close by (don't worry no hugs or kisses, in spite of the name). Our Worship Team draws us back with a 3-4 set of blended upbeat and/or reflective songs. After the worship time, our pastor teaches a relevant, biblical message for about 35 minutes. The message usually paints a picture of God's active pursuit of a relationship with us and the timeless truths that can be applied to life and all its challenges. All of our pastors are qualified biblical teachers whose number one desire is to help us grow closer to God as we discover truth from His Word. Our service closes with a song of reflection which gives everyone a chance to finish filling out the connection card. An offering is received along with the connection cards (guests are encouraged not to give financially, but to simply drop in the connection card with any information they're comfortable sharing). Infants and children are picked up from the room they were dropped off at right after the service. Coffee and tea are available in our cafe' following the worship service for guests and members alike. We invite you to be our guest at a weekend service soon! Come and check us out anonymously if you'd like, or introduce yourself. The choice is yours.